We Structure Cell Lease Services And Solutions That Maximize Your Site’s Potential And Provide Ongoing Cell Tower Services To Fit Your Unique Needs. For cell site owners, the question usually is, “How can I get the maximum value out of my cellular ground leases?” For some, that means how can they receive the largest cash value for their leases, now. Still others would like to have a large cash payout now with some additional revenue opportunities in the future. And everyone wants to avoid the risk of rent reductions or cancellations. The experienced cellular experts at Crescendo can serve as your partner to craft the cell lease services and solutions that deliver the maximum value for you. It starts with a no-cost, no-obligation current valuation of your cellular site leases. Then we can help you determine whether a cell lease buyout, structured buyout or a cash payout/revenue sharing solution makes sense for you. If it does, we will customize the structure of the agreement and you will receive your payout, generally within 30 days. 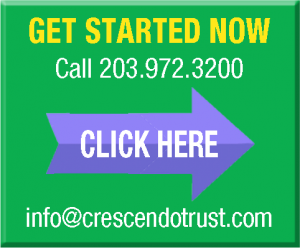 Tap Into Your Cell Site’s Potential With A Partnership With Crescendo. Gain instant liquidity and flexibility – The large cash payout that you’ll receive from your lease sale can help you address whatever financial needs or opportunities you may have. Eliminate risk – You no longer have to worry about rent reductions or lease terminations on your site. Lower your taxes – While rents are typically treated by the IRS as ordinary income, cash buyouts in most cases may be treated as capital gains. You’ll need to check with your tax advisor to see how this works in your situation. Your sale may also be eligible for a Section 1031 Exchange. Control – When you do a lease buyout with Crescendo, you assign only your lease rights but maintain ownership of the underlying real estate. Future Revenue Opportunities – Crescendo has a national presence which affords carriers a platform to launch and build new sites and networks in local markets. As part of the ongoing partnership with Crescendo you can take advantage of our cell lease services, such as taking on the burden of cell site management activities for your site, including the day-to-day hassles of monitoring the tenant activities on the site as well as the review and negotiation of lease negotiations. You’ll have many years of cellular experience, as well as technical, financial and legal expertise on your side. By forming a partnership with Crescendo, many landlords have been able to recognize a significant up front payment as well as participate in future lease revenues garnered through Crescendo’s expertise. 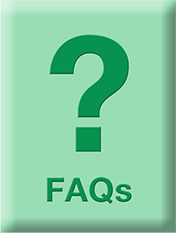 If you have more questions about cell tower or other cellular ground leases, check out our FAQs or call us at 203.972.3200. As you no doubt are aware, the payments you receive on your cell site are typically subject to income taxes at the same rate as the rest of your earned income. These payments may even be pushing you into a higher tax bracket. When you convert your leases into a lump sum payment, the proceeds from the sale are typically taxed at the capital gains tax rate. This may result in significant cell lease tax benefits for you. Our professionals can provide you with more information about these possible savings, but you want to be sure to discuss this with your tax adviser. Another large tax savings may be available to you through the use of a 1031 exchange. This may enable you to defer the capital gains on proceeds from a sales transaction when tied to the purchase of another income producing property. This process has some complexity to it, so please inquire with your Crescendo lease adviser and your tax adviser for more information about your specific situation. For some cellular site owners, such as municipalities or estate tax planners, it may be beneficial to receive a structured payout program for your cell lease buyout whereby the buyout proceeds are paid out over a period of 3 to 5 years. Our cell lease advisers can work with you to develop a payout structure that best matches your budgetary process and meets your group’s individual needs.